Purée mayonnaise, lime juice, horseradish, honey, salt, and pepper in a blender until smooth. Set aside. Heat oil in a small skillet over medium-high. Add panko and cook, stirring frequently, until golden brown, 4–5 minutes. Season with salt and cayenne and transfer to paper towels; let cool. 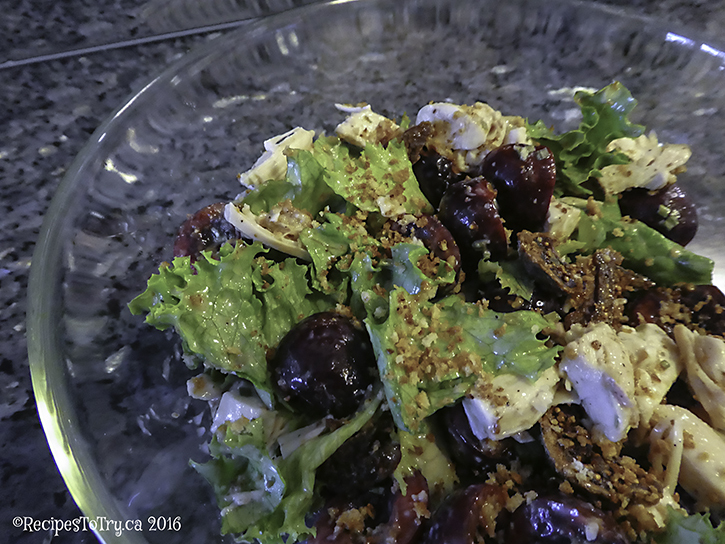 Combine chicken, lettuce, cherries, radishes, figs, half of the panko, and half of the chives in a large bowl. Drizzle with dressing and gently toss to coat. Sprinkle with remaining breadcrumbs and chives. The dressing can be made and chilled for up to 2 days.